Scott A. Komp |Mawicke & Goisman, S.C. 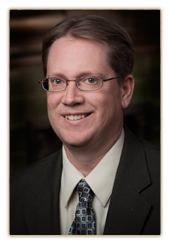 Although not a licensed attorney, as an active member of the firm’s management team and practicing CPA with 25 years of experience, including experience with the national and regional public accounting firms, Scott brings a unique and valued set of skills to help clients. Scott’s emphasis is on taxation, business structure, business sales, mergers and acquisitions, business formation/entity choice and the formation and use of captive insurance companies. Scott has assisted his clients in structuring their businesses, acquisitions and sales in a tax efficient manner. He has guided numerous clients through their tax controversies before the IRS and multiple state departments of revenue. He has also aided clients with their risk management issues through the use of Captive Insurance Companies. As an active member of the firm’s management team, Scott is well versed in the Entrepreneur’s day to day business and financial concerns. I’m married with three sons. I have participated on committees for various local non-profit organizations, including the finance committee for a local private high school. I also participated as a judge for the Future Business Leaders of America and as a speaker for a university program for entrepreneurs on accounting and structure matters. I have been a frequent speaker and panelist locally on the topic of Captive Insurance Companies as a risk management tool In my spare time, I enjoy playing golf and coaching youth basketball and baseball.